Thousands of people have subscribed to a self-destruct text message service which started on Sunday in the UK, says the firm behind the system. The commercial service allows sensitive messages to be destroyed 40 seconds after being read. Developed by a British firm, Staellium, it is designed to allay worries about incriminating messages. The company said it has had interest from businesses, the Ministry of Defence, as well as celebrity agents. Staellium likened its system to that of the self-destructing tape recorders featured in the 1970's TV show, Mission Impossible. "The technology behind StealthText is derived from military technology, so the comparisons with Mission Impossible are justified," said Carole Barnum, chief executive of Staellium UK. "The ability to send a self-destruct message has massive benefits for people from all walks of life, from everyday mobile users through to celebrities and business people," she said. 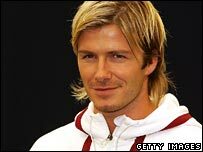 The most high-profile case of embarrassing text messages in recent years was the revelations of messages sent from England football captain David Beckham to his personal assistant Rebecca Loos. Privacy comes at a price. Each text using the system costs 50 pence, though users have to sign up for a minimum of 10 messages. People interested in using the service to send messages have to register and download a small program onto their mobile phone. Once a message has been sent, the recipient receives a text notification showing the sender's name and a link to the message. After they have opened it, the message disappears after 40 seconds. Despite the fact the message will be removed from phones, users cannot entirely avoid a data trail. For legal reasons, a log of the message will remain on a secure server to which they have no access.